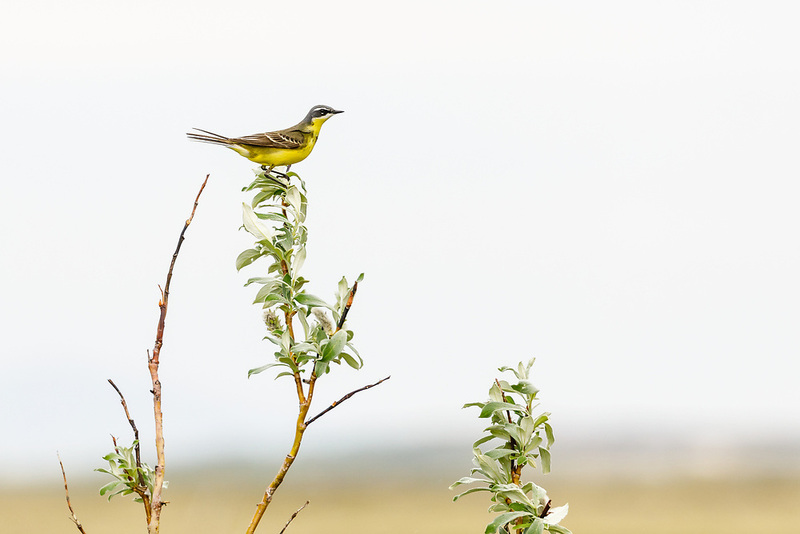 Eastern Yellow Wagtail (Motacilla tschutschensis) perched in willow near Nome in Northwest Alaska. Spring. Morning.